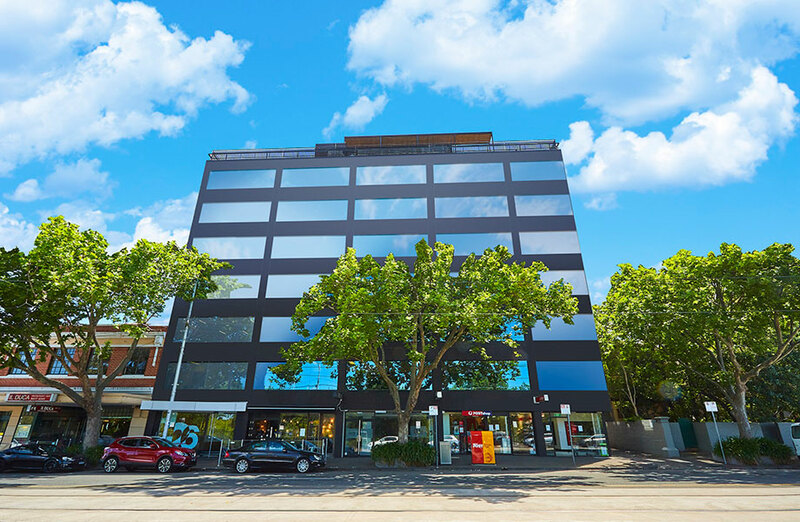 Demand for commercial real estate continues to rise in Melbourne's fringe suburbs, prompting the owners of an east Melbourne office freehold to list the property for sale. The seven-level office block, located at 122-130 Wellington Parade, was originally constructed in the 1960s and has undergone several refurbishments. The building offers 4,000sq m of office space and is fully occupied by both office tenants and ground floor retail tenancies as well as a three-bedroom residence with a rooftop terrace. The building, with price expectations of $40 million, overlooks the Melbourne Cricket Ground and Jolimont precinct and is within walking distance of the CBD where the office vacancy rate currently sits at four per cent, the lowest it has been in 30 years. Domestic and International groups have dialled up their interest in Melbourne's fringe suburbs in recent months, propelled by the overall economic environment and the underlying fundamentals driving tenant demand, particularly in the inner city. Demand in the pre-lease market is now spilling into the fringe office market where vacancy has hit 6.8 per cent. CBRE's Josh Rutman, Mark Wizel, Lewis Tong and Kiran Pillai have been selected to manage the international expressions of interest campaign. “It’s arguably an opportunity for the next cycle, but, given the property’s prime location, vistas and strong holding income, we’re expecting the campaign to generate strong interest from land bankers and developers who are seeking well located, land-rich properties,” Rutman said. East Melbourne had also continued to benefit from significant rental growth, particularly as supply in the precinct remained constrained, placing it among the strongest commercial precincts in the country and boasting a tight office vacancy rate of 3.1 per cent. The precinct has also received significant investment among residential developers such as CBUS, Mirvac, Icon and Golden Age, with the iconic 150 Clarendon Street by Salta setting the new benchmark for pricing several years ago.